Sharlene is a certified holistic nutritionist, transformation coach and wellness speaker. While based in Niagara, her work connects with women all over the world. This story is as much about you as it is about me. Because here’s the deal: we’re not so different you and I. It wasn’t so long ago that I was burning the candle at both ends. I wasn’t sleeping well, my weight had skyrocketed and my body ached all over. If putting everyone else first while your own health comes last, and eating on the run because you’re always… well… running, sound familiar, read on. It will get better. After years of experimenting with a variety of natural health products and services from supplements to massage treatments, I realized I needed to be the change I wanted to see in myself. If I wanted to feel better, I had to live better. So I set out to transform my lifestyle. Since then, I’ve changed what I eat and how I engage with the world around me. And I’ve helped countless women – like you and I – do the same. I can help you rewrite your story too. You see I specialize in nutrition from a holistic perspective. (Because we both know this is about more than just the food). My personal journey into holistic nutrition started well over a decade ago, when I discovered yoga as a way to relieve the stress of my demanding career in corporate finance. Little did I know my budding yoga practice would mark the beginning of a quest for balance in all aspects of my life – from food to love. PURE is founded on my discovery that truly holistic nutrition encompasses everything in life that nourishes you. You have your own unique strengths and challenges. Likes and dislikes. From food to relationships. My job isn’t to force you into a lifestyle that doesn’t fit who you really are. I’m here to be your guide in self-discovery. Working together we’ll rediscover what makes you happy and design a step-by-step plan to help make your dream life a reality. “If you’re looking for someone to connect with to gain balance and expert holistic guidance, Sharlene is the gal for you! Sharlene provided me with a safe place to share feelings and stressors I was experiencing. She walked me through – while educating me on – a psychosomatic energy test (such an awesome experience!) to uncover imbalances in my life. Together, we talked about strategies I could implement to reach greater balance and wellbeing. Sharlene motivated me to make changes in my life and recommended specific treatments that helped me with my personal mission. I would recommend Sharlene’s expertise for anyone wanting to gain greater personal insight and guidance on improved health and wellbeing.” -Shawna T.
And while it may surprise you, all of this experience comes into play during our nutrition counselling sessions. 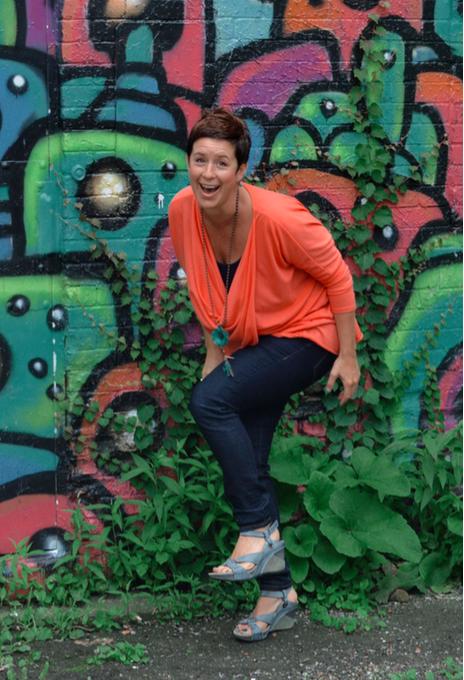 I’m also an avid wellness speaker – delivering educational workshops and health talks for organizations across Niagara – and creator of the online program The Art of Living From the Inside Out.